Francis Ford Coppola's powerful film of S.E. Hinton's classic novel captures how it feels to be caught between childhood's innocence and adulthood's disillusionment. 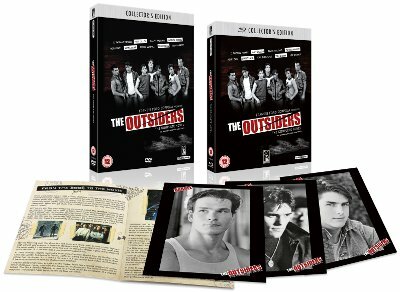 The ensemble is the original Brat Pack: Matt Dillon, Tom Cruise, Emilio Estevez, C. Thomas Howell, Diane Lane, Patrick Swayze, Rob Lowe and Ralph Macchio. In an intensely visual style, Coppola has made these street rats and their struggle both heroic and unforgettable. They grew up on the outside of society. They weren't looking for a fight. They were looking to belong. In 1966 Tulsa, teenagers come two ways. If you're a "soc", you've got money, cars, a future. But if you're a "greaser", you're an outsider with only your friends... and a dream that someday you'll finally belong.